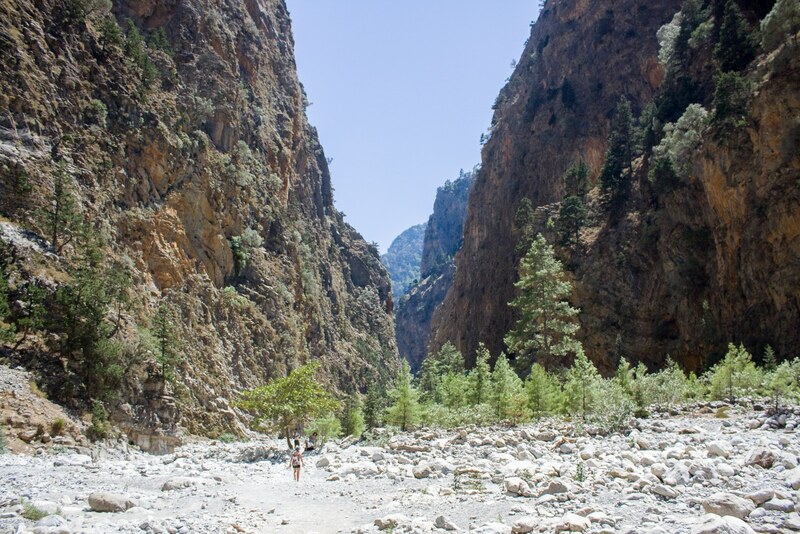 The Samaria Gorge, 43 km to the west of Chania, Samaria is the longest gorge in Europe, 18 km long and renowned for its beauty. At one point the passage is just 3 meters wide and at some other points the steep sides rise to a height of 600 meters. The gorge is traversed by a stream which flows between the highest peak of the White Mountains and Mt. Volikas. 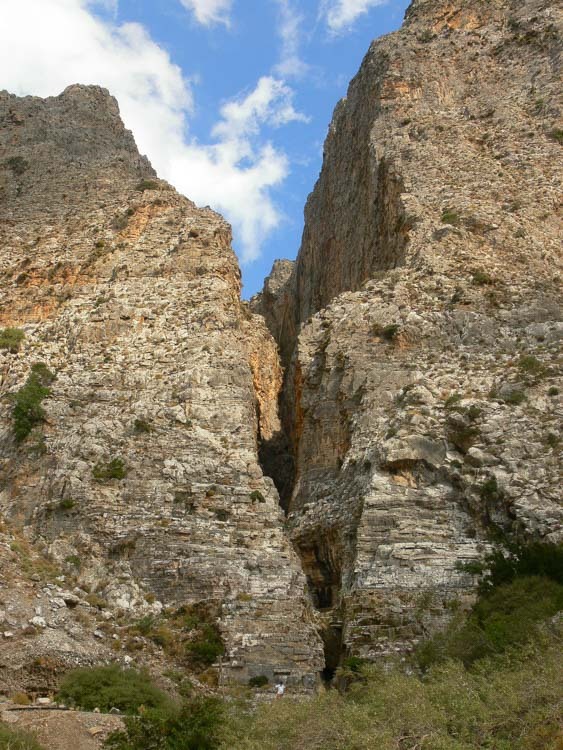 At the entrance of the gorge, at Xiloskalo, there is a tourist pavilion with a view of the majestic Mt. Gigilos (alt. 2.083 m.). 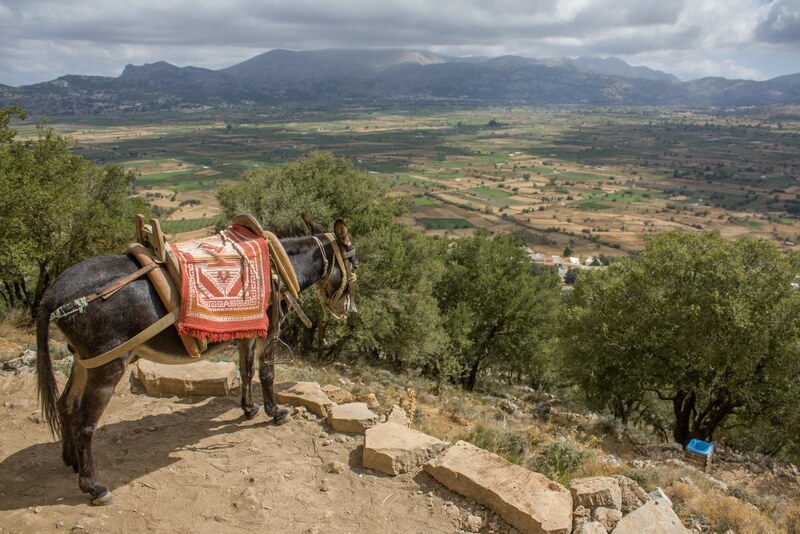 When reaching the end of the gorge you are on the south coast in the village of Aghia Roumeli. Please ask us for more information regarding organised tours to the gorge. 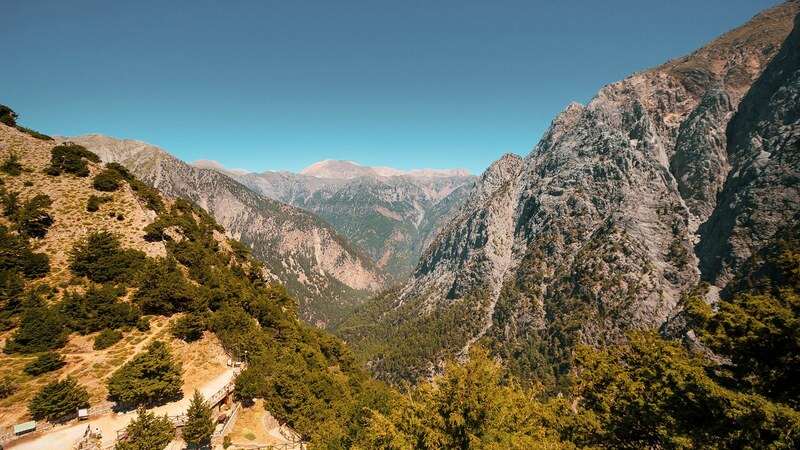 The Therissos Gorge, An impressive gorge, 6 km long running between Chania and the village of Therissos at the fotthills of the White Mountains, 16 km south of Chania. 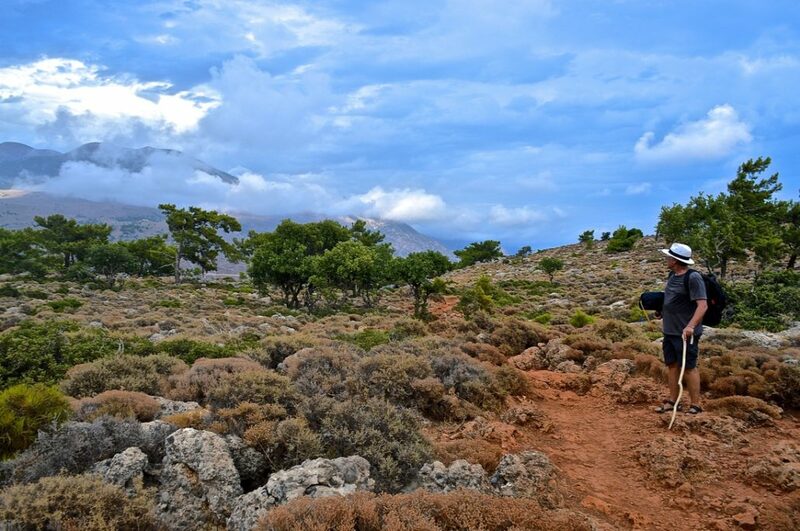 Hora Sfakion, is found 74 km south of Chania, built on a rocky, barren area. Gavdos, a tiny island 24 nautical miles south of Chora Sfakion. 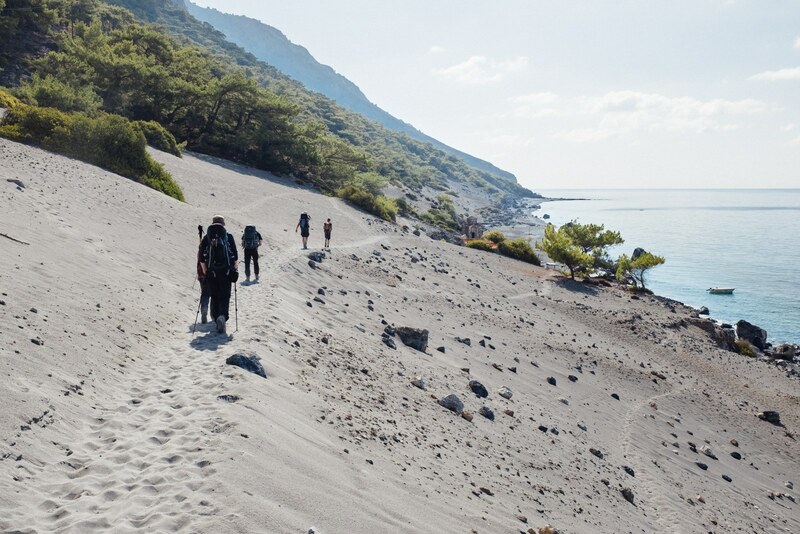 There are scheduled boats from Chora Sfakion to this unspoiled island with its transparent waters and cedar trees. There are very few tavernas and rooms to rent. Lake Kournas, 48 km east of Chania, it is the only lake in Crete. You can paddle in the water by renting a pedalo on the spot. 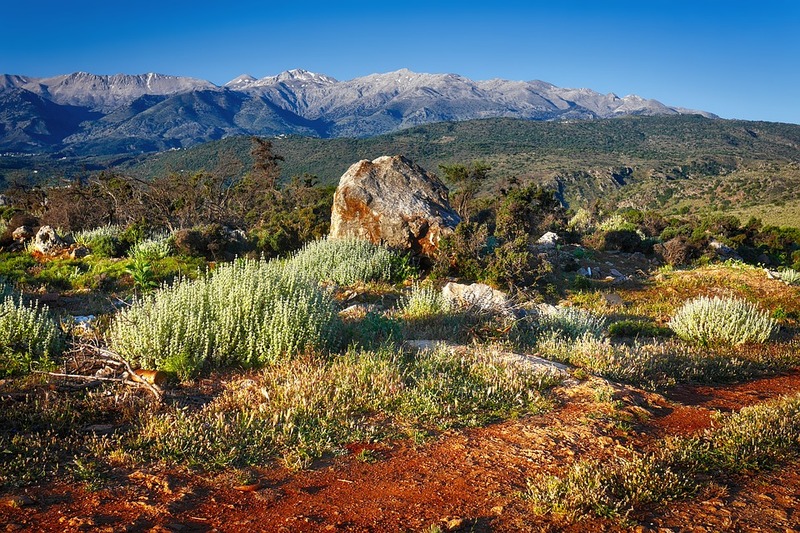 Argyroupoli, is a most picturesque village 27 km southwest of Rethymno, emerging through the greenery found in the area, near the natural water springs which is kept in dams and provides a big part of the island with water. The springs also form small cataracts in which the fluffy traditional Greek rugs are washed. 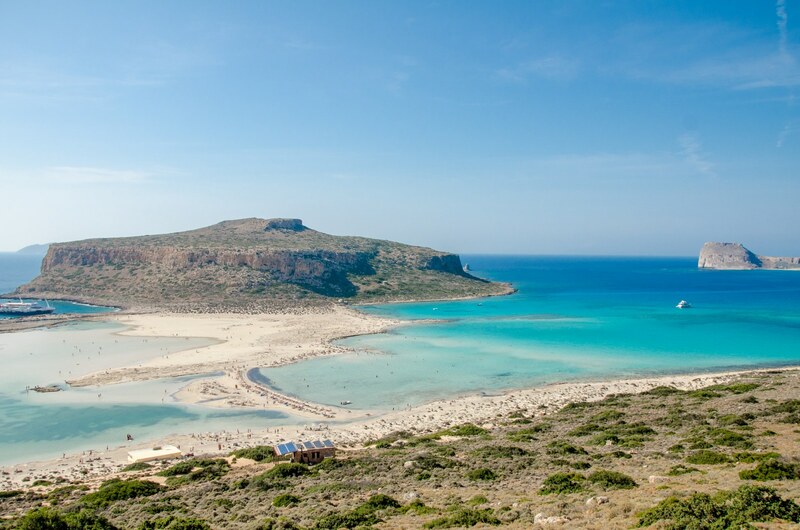 Chryssi island,An islet lying 9 nautical miles across Ierapetra, on the south coast, an island with golden beaches after which it got its name, with crystal clear waters and cedar trees. 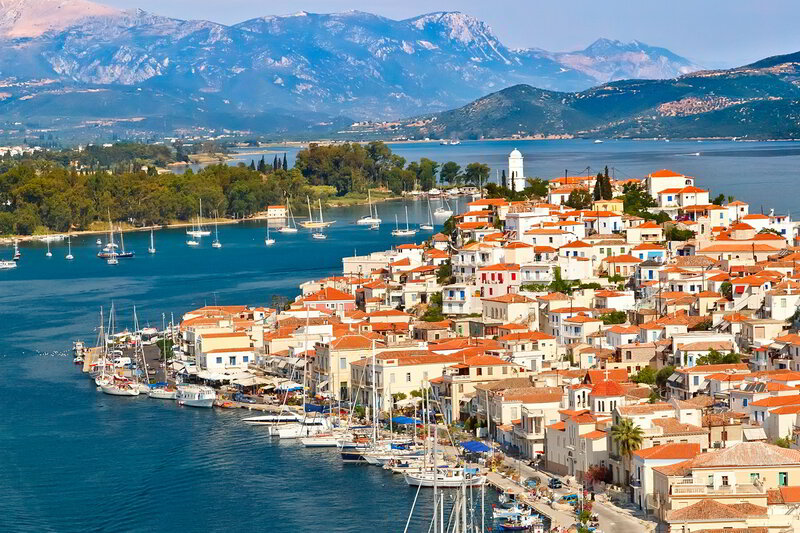 Nothing is built on this island apart from a small taverna. 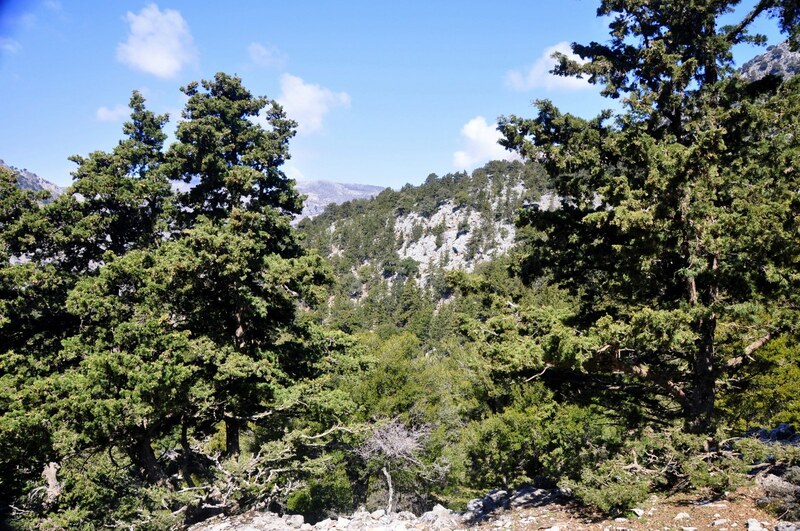 Municipality of Zaros:ZAROS, is a picturesque village located at the southern slope of the mountain IDI (Psiloritis) at a height of 340m, 45 km fromIraklion with 2.300 residents. The main occupation of the people is farming, stock breeding and weaving. The name Zaros means abundant water flow. It has a long past starting as back as the Minoan Era. There are many monasteries such as The Vrondissi Monastery, belonging to the 16th century with frescoes and according to historians it is the most beautiful open air artistic fountain of Crete. The Monastery of Valsamonero, it is about 600 years old and it is one of the oldest monasteries in Crete. It is decorated with spectacular frescoes and the famous Cretan Painting School flourished there in the 16th century. 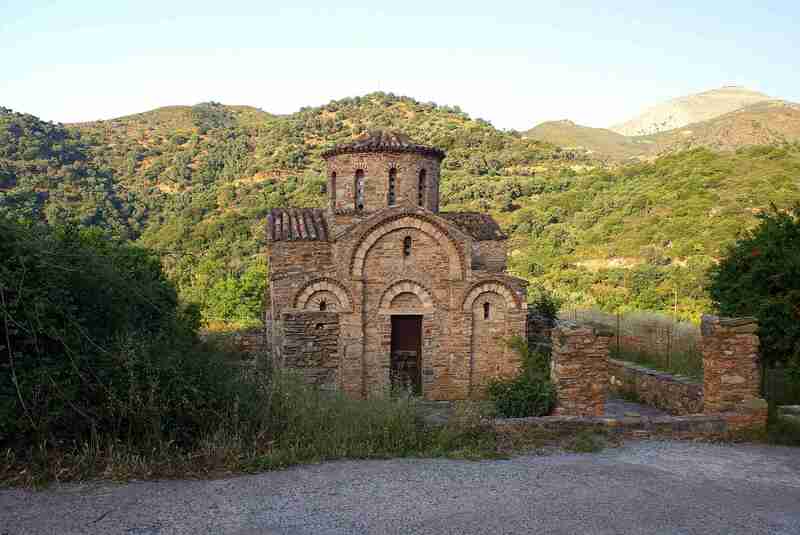 The Monastry of Aghios Nikoalos, is inhabited by monks and has a beautiful view of the lake and the gorge.There is a regular bus connection from Iraklion to Zaros. It has unaccountable natural wealth and beauty and it is a developing area in Agrotourism. 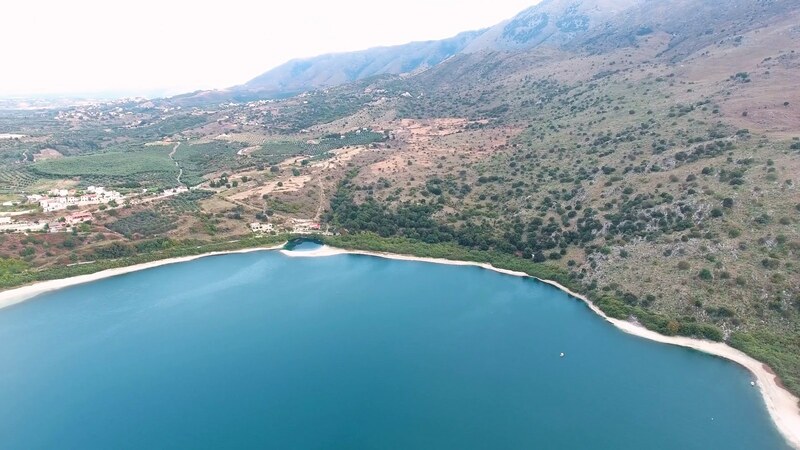 Some of the main attractions of the area are:The lake of Zaros, located in the territory of Votomos, covering a total surface of 5 acres irrigating more than 2000 acres of greenery. 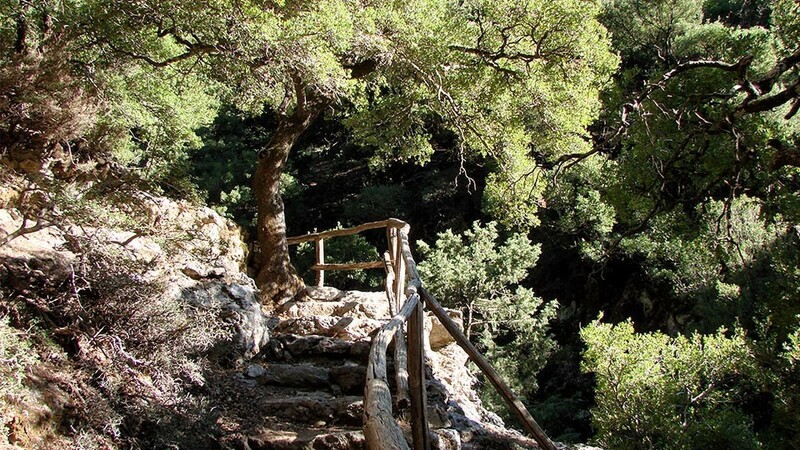 The drinking water of Zaros is of immense value and for this reason it is bottled and distributed all over Greece.Zaros gorge, is very rich in flora and fauna, a natural treasure which you can walk through in 3 hours, at the end of which lies the forest of Rouvas. 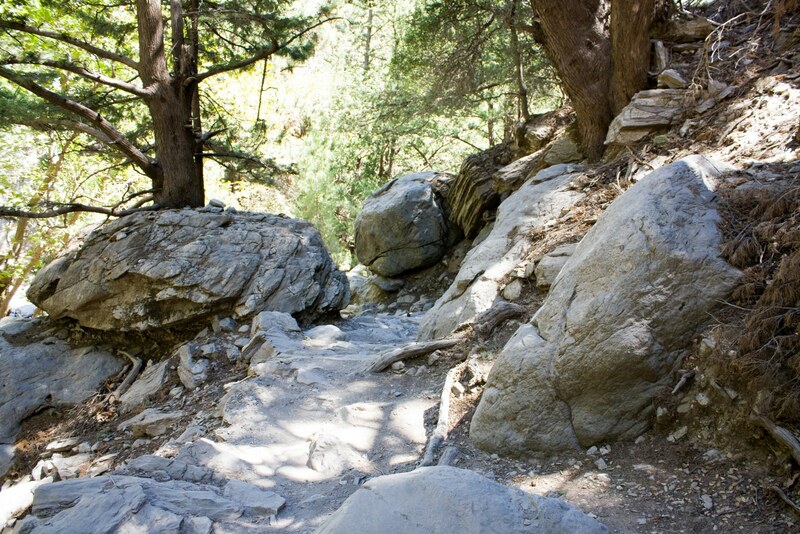 Mountain climbing and walks are recommended in the area (path E4). Forest of Rouva, is a beautiful forest in which there is a small church and some traditional buildings. 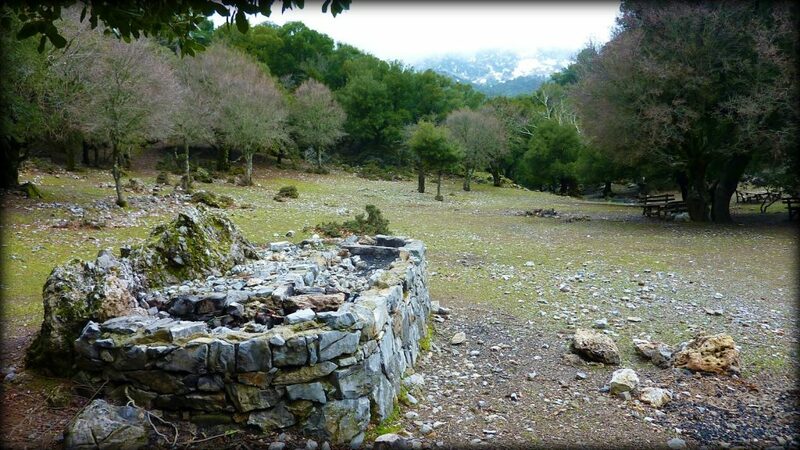 In this area there are some traditional houses standing proudly in the middle of acres and acres of trees and unspoiled vegetation.One of these houses is owned by a family from Iraklion who have projects in developing their house in a traditional agrotourism residence. Please contact us if you need more information regarding this project.